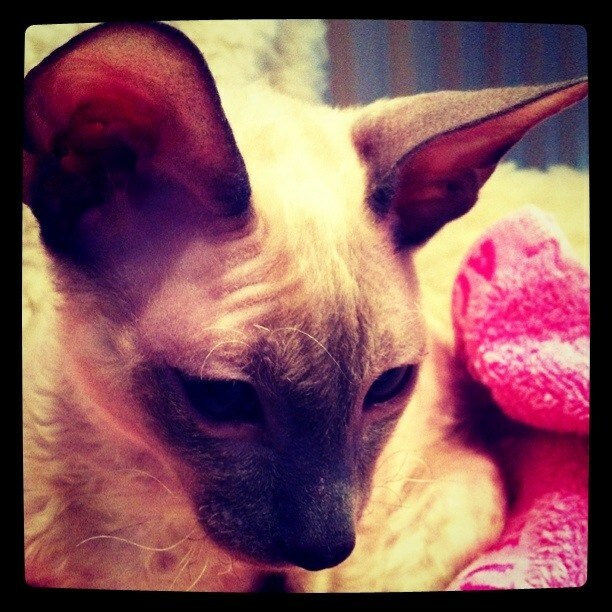 Rex the Cornish Rex finally arrived this week. Awww he looks so sleepy! Handsome little fellow isn't he! He really is a beautiful cat... kitten... feline. Rock on Rex! Fab pic - hope he's settling in ok. Stunning! My Godmother had Cornish Rexes and they are great cats, quite aloof at times (but what cats aren't?!) and so handsome. He's a handsome little fella isn't he!